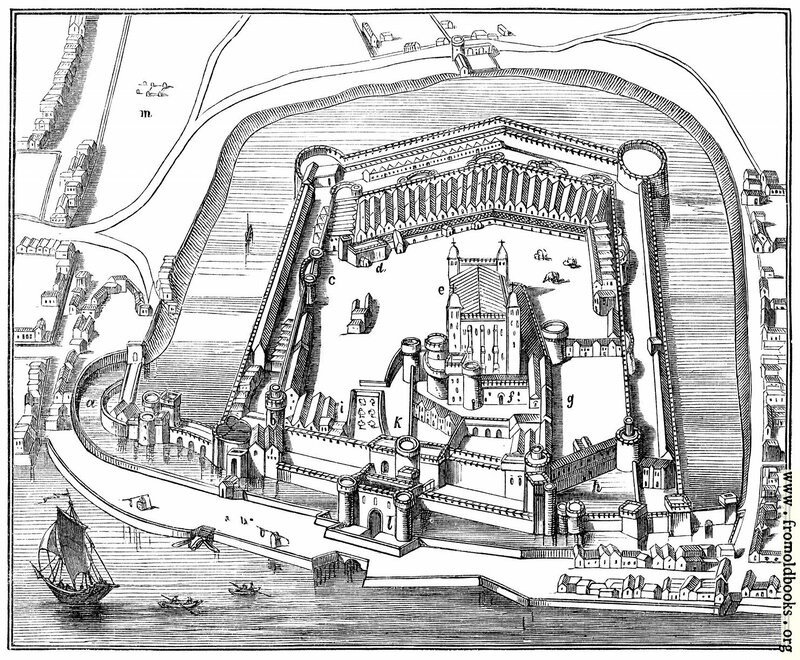 A woodcut showing a diagram of the Tower of London and its surringings. There are boats and conttages, battlements and towers, with the keep in the middle of it all. The letters annotating various parts do not appear to be explained in the text. I suspect this woodcut was made for some other book and reused by the publisher; it could well have been commissioned by Charles Knight. I also made a wallpaper version by stretching it very slightly and removing the border and the letters.